Mission Valley Veterinary Clinic is proud to offer Wellness Plans for pets! Wellness Plans offer an affordable way to provide high-quality preventive healthcare to your pet. They are designed to provide routine healthcare and diagnostics at a discount. With regular checkups, illnesses and diseases can be detected early, before they become worse and more expensive to treat. Please call us to learn more: 510-662-1165. Mission Valley Veterinary Clinic would like to offer their clients 1/2 off exams every Thursday of the month. Appointments need to be made. For an appointment with the doctor at 510-662-1165. If 2 pets are scheduled for an exam we offer 1/2 off exams for 1 pet. This does not apply to emergency appointments and cannot be combined with other coupon offers. Please call for more information. Dr. Edelman, Dr. Virk and the staff of Mission Valley look forward to seeing you and your pets soon. 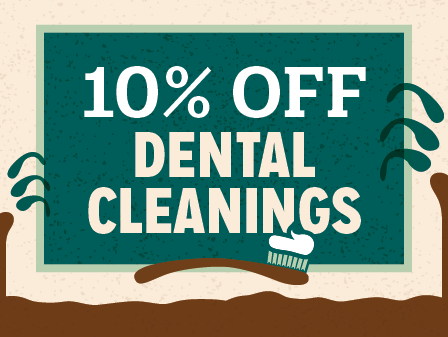 Throughout the months of October and November, Mission Valley Veterinary Clinic is offering 10% off the cost of your pet’s dental cleanings with a complimentary box of Oravet chews, a sample bag of dental food and dental water supplement for your pet. Our dental procedure includes a full mouth scaling and polishing of the teeth along with dental radiographs and blood work. All our patients receive catheter/ fluids and anesthesia monitoring of the patient by our skilled veterinary technicians. For more information please schedule an appointment to meet with Dr Edelman or Dr Virk for a Dental exam. We look forward to seeing you and to help keep your pets pearly whites stay bright.